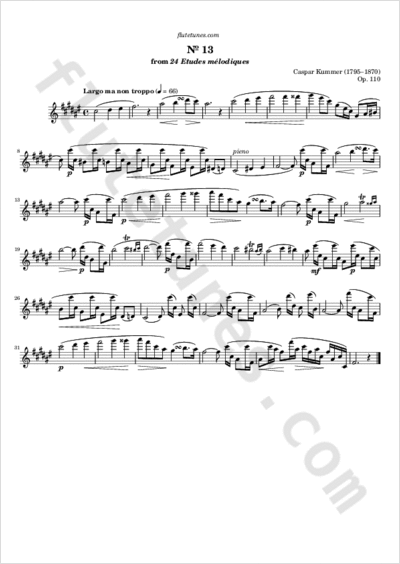 This is the thirteenth piece from 24 Etudes mélodiques, Op. 110 by German flutist and composer Caspar Kummer. The piece is presented in two versions, the first in F-sharp major and the second in the enharmonic key of G-flat major.